The more we know the animals, the more we realize that they have thoughts and feelings. 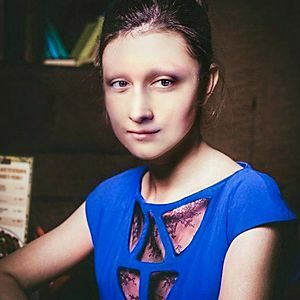 Look at this story! 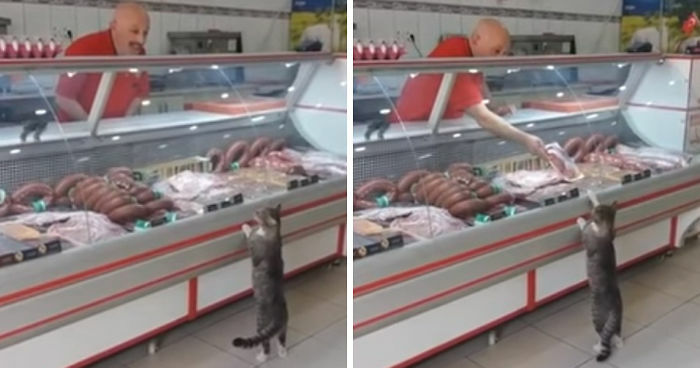 A cat came into a supermarket and stood looking at the items displayed on the meat counter. 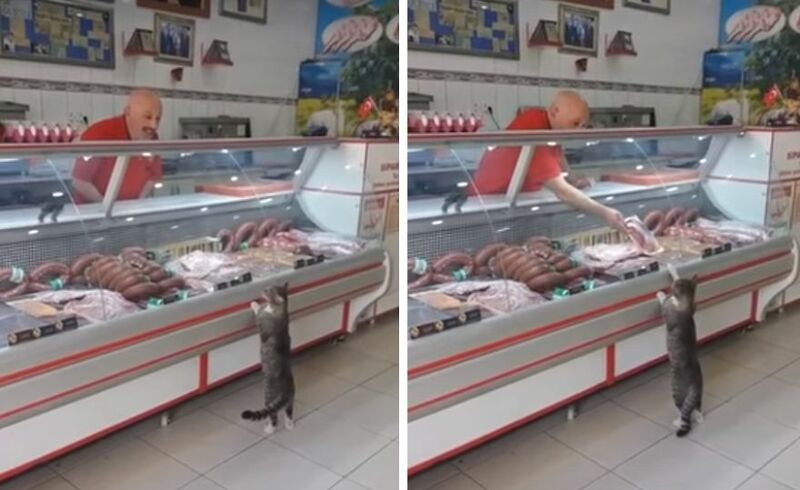 The clerk entered into his sales pitch and gave the cat a better view of a variety of offerings until the cat indicated what he wanted most. The choice was made and answered. The cat sure left the place satisfied.